Welcome back to everyone this term. I hope you had a lovely restful break with your family and friends and wishing a very happy new year to you all! Welcome back to Louise Ormiston who is working in SEN with Rang 1 and Rang 2. We say farewell to Mary Reynolds and wish her the very best of luck in her new school. We have a busy term ahead of us! Kicking off the term this year is the BT Young Scientist & Technology Exhibition in the RDS with Rang 4 which is taking place today. We wish Rang 4 and their teacher, Ms. Dillon, the very best of luck and thank them for the huge work that has gone into their project on bridges. Some of the other things to look forward to this term are Peace Proms with Rang 5 & Rang 6, Cór Fhéile with the choir and orchestra ensemble, Forest School for Rang 2, Ag Léamh as Gaeilge with Rang 4, Cycle Right with Rang 5, our RMDS Football World Cup for Rang 1 - Rang 6, our continued partnership with St. Michael’s House Grosvenor NS Project involving Rang 5, Seachtain na Gaeilge in March, our Student Council work and the Green Schools Committee will continue their work on travel. More about all of those later! This term we will also be teaching the Stay Safe Child Protection Programme in Senior Infants, Rang 1, Rang 3 and Rang 5. 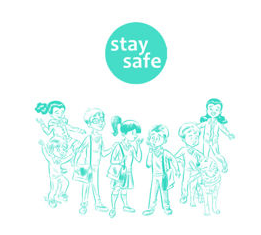 The Stay Safe Programme is part of the Social, Personal and Health Education (SPHE) curriculum which all primary schools are required to implement. Information on this programme can be found online at http://www.pdst.ie/ChildAbusePreventionProgramme and http://www.staysafe.ie/teachers/resources.htm. This term of Extra Curricular Activities will start this coming Monday, 15th January. Activities run for 8 weeks to the week beginning Monday March 12th, excluding mid-term break which is Monday 12th February to Friday 16th February. All absences from school must be accounted for. 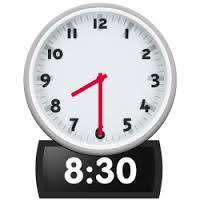 Please ring the school or email the office (secretary@rmds.ie) on the first morning of absence. For absences longer than one day, please send a note or an email so that we have a written record. There are blank notes in the homework journal that can also be used for this purpose. Again, time to check those locks!!! Remember anyone can pick up head lice. They are most common amongst young children as they often put heads together during play allowing the lice walk from one head to the next. Head lice do not reflect standards of hygiene. They are just as willing to live in clean or dirty hair. It is important that parents check their children’s hair regularly. This way head lice can be found before they have a chance to breed. They can then be treated stopping them from being passed around the family…or from family to family! The way to check someone’s head is called “detection combing”. This should be done regularly and in the case of a confirmed infection in one family member, the other members of the household should carry out “detection combing” twice weekly for one week. Please let the school know if you detect a case of head lice so that we can alert parents to check their own child’s hair. Please check your child’s hair this weekend! Remember, everyone has a part to play! RMDS will be closed the 27th February as all staff will be attending a Professional Development Day on the new Primary Language Curriculum which has been introduced. A few dates for the diary to get going! One of the children's favourite nights of the year, when we turn the school into a Cinema! 5 Movies to choose from, snack bags, and of course refreshments in the Hall for the parents! Keep an eye out for the posters with the movie titles. Ticket sales from the gate to start the week of 28th January. Our World Book Day falls on the 1st March 2018, and the children can look forward to the annual book swap in the yard before school. On this morning, the children's Read-a-thon sponsporship money will also be collected. The Read-a-thon will be launched on 8th February to give plenty of time for reading over Midterm! Thank you all for your generous participation in the RMDS Parents’ Pub Quiz. The proceeds have gone towards 12 music stands and new ukuleles for the Choir as well as the much coveted class prizes! 150 euro to R2, 225 euro to R3 and 100 euro to JI. We are still running!! 2-3 times a week from the school gate at 08h45. We organise ourselves via Whatsapp group. If anyone would like to be added to the Whatsapp group - please email pa@rmds.ie. All levels welcome! We have had a few requests for an adults Irish course. There are a couple of options that we have researched and your class rep will survey your preference, if any, soon! Any other ideas for this term and beyond - do let us know!